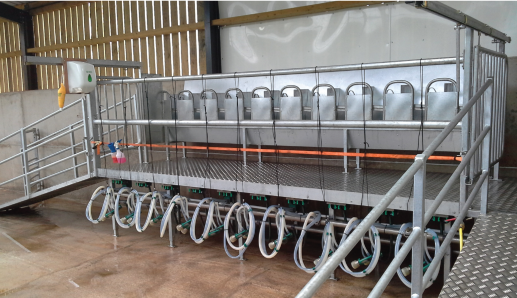 Following years of experience, we have perfected the design, manufacture and installation of goat milking equipment tailored to your individual requirements. 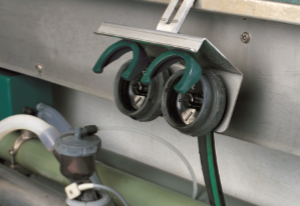 This includes designed sequential locking head yokes which ensure each animal has its head secured in the correct placement, meaning the flow is not stopped by an animal stopping half way down the parlour. Stall work can be provided on a platform with ramps minimising any building works required or in a traditional pit. A fully mobile, trailered version is available to order meaning you have flexibility in the location of your milking herd. "Goat milk is regarded as a natural source of nutrients, an alternative to cow's milk and easy to digest"
With the continuing upward trend of goat milk, South West Dairy Services Ltd is finding our expertise in installing and servicing goat parlours in high demand, with one of our recent installations featuring on the BBC Countryfile programme at Dartington Estates. Cluster Holder - Particularly user-friendly and time saving, the special TopFlow Z cluster for goats is quick and easy to apply and milking begins as soon as it is on. Direct ventilation at the teat cup ensures that the milk is transferred quickly, and does not back up towards the teats. 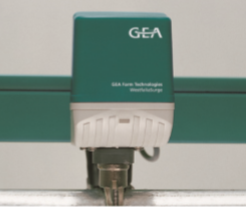 The low vacuum level guarantees gentle, animal-friendly and reliable extraction of the milk. Pulsator Apex - Gentle and animal-friendly milk extraction is provided by use of the cluster with the electrically activated Pulsator Apex configured either as a single or double pulsator, controlled individually or centrally via the CentralPuls control unit. 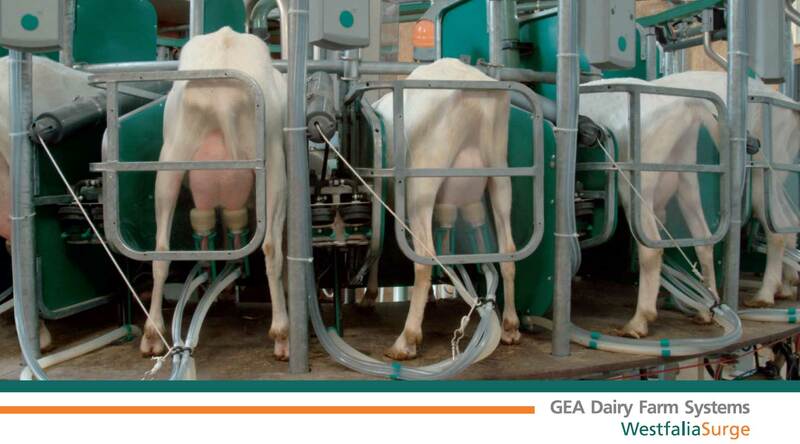 Special Valve-Technology - in the teat cup jackets Prerequisite for animal-friendly milking is a lack of air ingress. The special valve technology ensures that the vacuum supply will be immediately interrupted should the teat cup jackets fall off. Gentle milk transport without a claw - The direct ventilation at the teat cup jacket accelerates the transport away of the milk and thus prevents a blockage effect. Even at high milk yields an uninterrupted, smooth milk ﬂow is guaranteed without use of a claw. Transparency Creates Easy Viewing - The transparent design of the silicone teat rubbers, the teat cups and the milk carrying hoses allow continuous visual monitoring. The special valve technology in the teat cup means that the vacuum supply is immediately interrupted should a teat cup fall off. 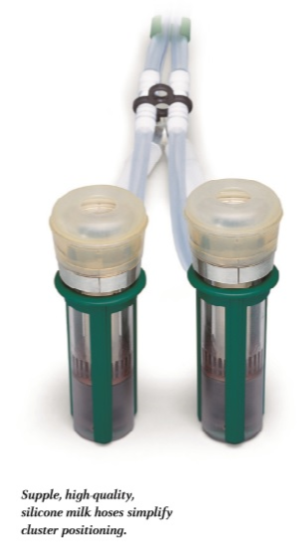 We have a full range of Automatic Cluster Removers and milk flow meters specifically designed for small ruminant animals, meaning correct cluster removal for your animal. 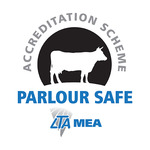 This means you can fully upgrade and add technology to your parlour to suit your needs, as your business moves forward. South West Dairy Services supplies all your dairy requirements whether you’re milking cows, goats, sheep or buffalo. We offer a full range of chemicals and sundries to accommodate all of your dairy parlour requirements.